Part 2 of 5-part video series "I Chose Life"
Caught in an abusive relationship, Maria is brought to her knees after a tragic accident leaves her and her four children with no support. At that point, Maria finds out she’s pregnant with her fifth child. With no where else to turn, she makes a phone call that changes her life. GEMS (Gabriel Education Ministry and Support) is a part of the Project Gabriel ministry. The Catholic Pro-Life Committee has nine ministries that strive to protect the lives of the unborn and care for their family members. “I Chose Life” is a 5-part video series capturing the stories of five young women who had the courage to come out of difficult situations to bring their children into the world. Their “yes” could have easily been “no.” Find out why they chose life. Arkansas was home for Amanda. After leaving her violent boyfriend, Amanda is told by a battered women’s shelter that they will give her a bus ticket to any where in the country that will take her and her unborn baby in. She ended up in Texas with GEMS. This is her story. Written at 11:35 AM by Marisa Alvarado. Part I of 5-part video series "I Chose Life"
Devon has just been put out of her mom’s house and was staying at her best friend’s home when she found out she was pregnant. She had no high school education, no job, no way of supporting herself or her unborn child. Desperate, she turned to the Catholic Pro-Life Committee’s Project Gabriel ministry, not realizing that decision would change her future and her son, Hayden’s. Caught in an abusive relationship, Maria is brought to her knees after a violent tragedy leaves her and her four children with no support. At that point, Maria finds out she’s pregnant with her fifth child. What does she do? Written at 2:40 PM by Marisa Alvarado. Written at 1:41 PM by Marisa Alvarado. Today is Day 2 of the 'Building the House of God' Radiothon on KATH 910 AM on the Guadalupe Radio Network. Yesterday we received 140 calls for $48,530 in donations. This is about 30 fewer calls then we had on the first day of the Spring Radiothon back in March. We hope today will exceed yesterday's numbers. If you have not done so already, please call to make your pledge today by calling 800-476-3311 between 8 a.m.-7p.m. If you pledged yesterday, Thanks! Please keep the Radiothon in your prayers today and also please forward this email to your friends and family members and ask them to make their pledge today. Thanks for your support in leading souls to Christ through Catholic Radio in North Texas. I hope you have a great and holy day today. Dave Palmer and the rest of the folks over at KATH Radio are HUGE supporters of the Catholic Pro-Life Committee in continuously helping us get out the message of the Gospel of Life. 910 AM really is one of the only places the Catholic Church has a voice on the airwaves, and we need to support them in their mission as they do in ours. Every little bit helps! Written at 9:59 AM by Marisa Alvarado. Feel overwhelmed by all the information swirling around H.R. 3200 (a.k.a, the big honkin’ freak of a healthcare bill we’ve all been talking about)? Here is some basic info to help you sort out the junk from the real thing. The Gist: The CPLC, other pro-life groups and the majority of good sensed Americans are opposed to this bill for a number of reasons. Our Main Focus at the CPLC is that it has been confirmed by certain lawmakers and the Associated Press that abortion funding IS indeed included in the bill. There are a lot of mixed messages out there coming from the media, local politicians and President Obama himself. How do we know for sure that abortion is included in the bill? The Family Research Council put together this handy dandy little run down of the H.R. 3200/abortion truth. It’s called 6 Proofs It’s in There… There are specific statements with the name of the person who said them on what date and in what context. One thing I learned from this document that really surprised me is that seven individual senators and representatives tried to include amendments that would prohibit abortion coverage in the bill during the month of July, and all seven times, each person was shot down by the bill’s sponsors. This tells me that the people who are pushing this bill do not really care about making progress at passing legitimate healthcare reform as much as they do about pushing a pro-abortion/pro-death piece of legislation off on the American people. 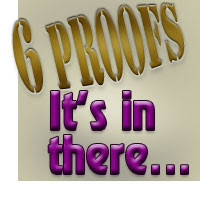 Read 6 Proofs It’s in There…for yourself and decide what you think. If you find value in it, forward it to your friends and family or print it off and show them the piece of this debate that they might be missing. Congress is on a short break during the month of August and will return to Washington, D.C. after Labor Day. NOW is the time to contact them via email, phone calls, faxes, face to face, whatever, just let them know how you feel. Regardless if they’ve forgotten or not during their time in Washington, they DO still answer to their constituents (you and me), so don’t feel pressured to be silent about something that is important to you. The FRC also published 20 Questions to Ask Your Legislator About Health Care Overhaul, a two-page document that can help you draw some sensible answers out of a very complex situation. Questions 6, 9 and 16 are specifically about abortion in the bill. "Do you know that the bill before Congress gives the Secretary of Health and Human Services uber-authority over everyone’s health insurance and every single plan detail, and that the bill grants her such authority and other authority over all aspects of health care more than 200 times in the bill?" What ever happened to being pro-choice (ie. options)? I guess certain members of the debate think they’re looking out for our best interest by giving us the choice to pay for other people’s abortions that we’re principally opposed to or pay for other people’s abortions that we’re principally opposed to. Wow, that’s real big of them. If you know your zip code, you can find out who your U.S. representatives and senators are and the physical address of their local offices near you. Use the phone number to call and make an appointment. You DO have a choice, and you CAN make a difference. Written at 2:57 PM by Marisa Alvarado. Lots of good stuff today on LifeNews.com’s Daily Headlines. If you're truly interested in what’s going on in the pro-life world from day to day, subscribe to their free daily or weekly feed. Detroit, MI (LifeNews.com) -- Officials at Wayne State University in Michigan have settled a lawsuit filed by the campus pro-life student group which said the university discriminated against it. Last year, WSU Students for Life said university officials refused to allow the organization the same access to student fees and facilities as other student groups. The pro-life students contacted the Alliance Defense Fund (ADF), a pro-life group that filed a lawsuit against the school and its student fee policy. New York, NY (LifeNews.com/CFAM) -- The world's largest abortion provider, International Planned Parenthood Federation (IPPF), has recently acknowledged an alarming "surge" in maternal deaths in South Africa, challenging the pro-abortion mantra that liberal abortion laws decrease maternal mortality. Maternal deaths increased by twenty percent in the period 2005-2007 in South Africa, a country that since 1996 has had one of the most permissive abortion laws on the African continent. While deaths attributable to HIV/AIDS account for the biggest portion of maternal deaths in South Africa, IPPF acknowledges that a portion of deaths are "due to complications of abortion" in a country where the procedure is legal and widely available. Overland Park, KS (LifeNews.com) -- A Kansas court has thrown out charges against a woman who wants to assert her free speech rights to help women outside the Planned Parenthood abortion business in Overland Park. Written at 10:09 AM by Marisa Alvarado. Baby arrives for Núñez family! and her husband Hugo on the safe delivery of their first child, Johann Matthias! 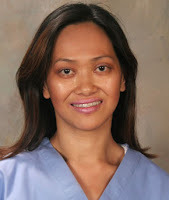 We're so proud to have Sendy with us since last year when she came from the Diocese of Arlington, Virginia! Written at 9:36 AM by Marisa Alvarado. Catholic hospital administrators and staff have had to make tough decisions as the line between professionalism and faith gets blurred. I think more stories like these will start appearing as ordinary people have to make extraordinary decisions. Fr. Frank Pavone, President of Priests for Life, shows how abortion is very much a part of the healthcare bill, whether the language of the bill spells is out or not, and why we need to oppose it. Sounds good, Mr. Representative. Except it’s a total farce. That’s not the answer. Contraceptives do not help women in any instance, they only harm. There’s a fabulous new documentary out called Maafa 21 that gives you all the facts and figures of this. Please, please, please check it out for yourself because I could not begin to go into all the eye opening details that are exposed. Democrats of Life for America has recently cut ties with Ryan because of his newfound pro-abortion stance. His support of this bill, which would include tax-payer funded abortions, is the latest example of the path he has chosen. Use this message Texas Alliance for Life wrote to talk to your Representative today, so that you won’t have to start paying for someone else’s abortion! Written at 11:29 AM by Marisa Alvarado. It’s encouraging to see a politician with a moral compass. Let’s hope Anh Cao is the first of many. 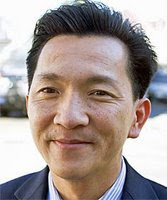 Washington, DC (LifeNews.com) -- Congressman Anh Cao is the first member of the House of Representatives from Vietnam. Cao is a Catholic who strongly favors helping Americans struggling with health care, but he has a high calling that, he says, prevents him from supporting the pro-abortion government-run bill. If you know your address, you can find who your Congressman is for your area. Send them an email or call them to let them know what you think about the Federal government trying to make you and me pay for abortions. Written at 3:38 PM by Marisa Alvarado. Last Saturday, July 25th, at the conclusion of his talk on "Debunking the Myths" at Pro-Life Boot Camp, Fr. Frank Pavone conducted a special ceremony for all those in attendance. The Prayer Director and Communications Assistant of the CPLC, Milissa Kukla, made her final promises as a lay associate of the Missionaries of the Gospel of Life (M.E.V.) in the presence of Fr. Pavone! This lay association, founded by Fr. Pavone, was started to assist those who feel called to defend the unborn and to work with the Church in carrying out that mission. The lay ministry is based on the spirituality of Priests For Life and Fr. Pavone and the other priests on staff at PFL travel the country to train these lay associates to do pro-life work. Below are the promises that Milissa made in the presence of Fr. Pavone and the People of Life. all things, and holiness of life which will foster my love for the weakest among us. I further promise to engage in pro-life work, according to the spirituality and virtues of the Missionaries of the Gospel of Life, and to collaborate with their work to the best of my ability and within the context of my own vocation. I am confident that the Victory of Life has already been won through the Cross and Resurrection of Christ, and as the Church proclaims, celebrates, and serves the Gospel of Life, Christ will transform the Culture of Death into the Culture of Life." We want to congratulate Milissa and give thanks to God for this latest infusion of grace into the pro-life movement! Find out more about the Missionaries of the Gospel of Life by clicking here. Written at 12:26 PM by Andrew Smith. "A slide toward the overturn of Roe vs. Wade is a thought every bit as chilling as images of partial-birth abortion." © 2007 Catholic Pro-Life Committee of North Texas. All rights reserved.